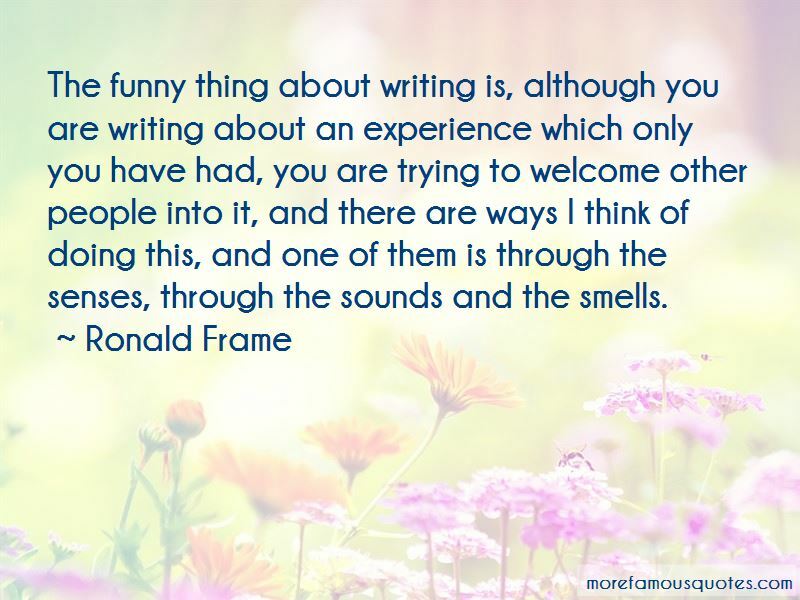 Enjoy the top 26 famous quotes, sayings and quotations by Ronald Frame. For ten years, I went to piano lessons. I don't think I'm a very musical person, and the theory quite defeated me, but I had a freak aptitude for Debussy and Ravel. Titles either come to you at the beginning or they don't come to you at all, I find, and I hate the feeling that I haven't got a title because it usually means that you are left at the end scrambling around trying to find something. Let's say I find a lot of current American fiction too overwritten for my tastes, too self-conscious; I like something that's simpler and more direct. The story is what matters to me. I hope to make it seem real to readers, as if it happened just like this - so I don't want fancy descriptions getting in the way. I like French films, Chabrol in particular. With him, you often get a skewed morality in which you sympathise with the person you shouldn't. I always felt journalists had a very clear idea of what they wanted to write about me before the interview began. I can remember in my early days of writing going to sort of writers' functions and parties and things like that, and I used to get very irritated because when people heard that you came from the suburbs, they had this notion that it was very un-cool to come from there. 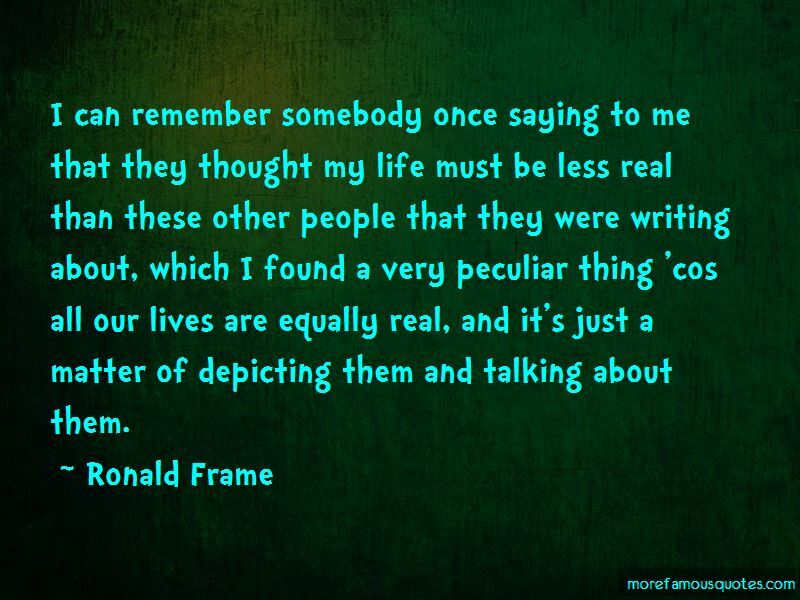 I can remember somebody once saying to me that they thought my life must be less real than these other people that they were writing about, which I found a very peculiar thing 'cos all our lives are equally real, and it's just a matter of depicting them and talking about them. What appears on the page comes out of your experience, and no-one is going to see it in quite the same way - so, that being so, you're already doing something in a thoroughly individual and idiosyncratic way anyway. 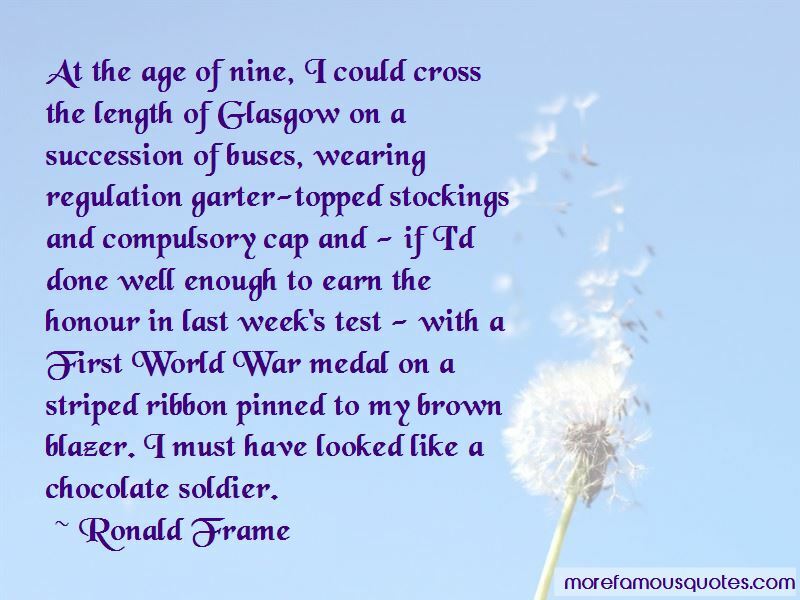 Want to see more pictures of Ronald Frame quotes? 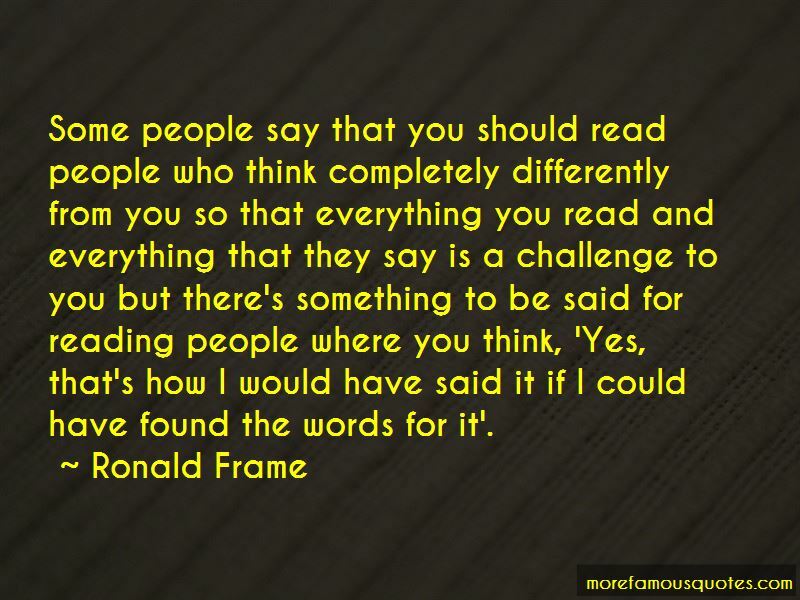 Click on image of Ronald Frame quotes to view full size.